Display your favorite antiques, books and other items in a sleek, modern bookcase -- the Step High Bookcase from Tema Home. With this exceptional bookcase, you'll have no trouble finding plenty of room to display items in your living room. The bookcase even features a one-of-a-kind design that can make the furniture a centerpiece of any room's decor. Step up your home's decor with a deluxe bookcase -- the Step High Bookcase. Are these solid concrete shelves? 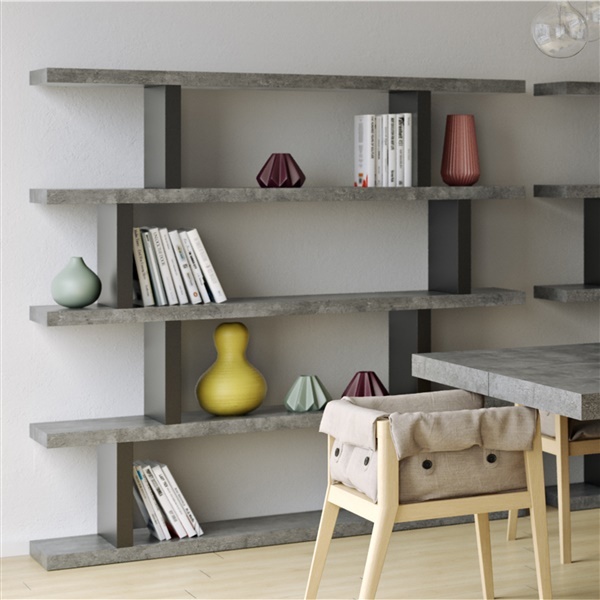 The shelves of the Step High Bookcase are made of melamine concrete.